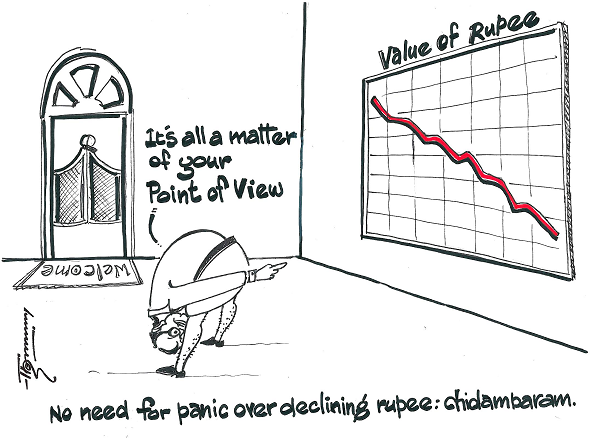 Declining Rupee: No Need to Panic! I wanted to share this with friends on Facebook, but if I share the link of this page then only the heading of the page "Boloji.com" appears - so it does not serve the purpose. As a solution, I can either copy this picture and share is separately OR some changes in the page design needs to be done so that the full cartoon apears when sharing on FaceBook. Can I cpoy and share this cartoon alone on Facebook ?